The Queen Elizabeth, one of the most luxurious cruise ships in the world, was in Piraeus Port in Greece on 8 August. Piraeus was the ship’s starting point for a 7-day cruise that will end in Istanbul, Turkey. The ship departed the same day with many Greeks onboard. The cruise ship – an elegant “floating resort” – is the youngest member of the Cunard fleet and was built at Fincantieri Monfalcone shipyard in Italy in 2010. It weighs 90,400 tons and is 294 meters long. 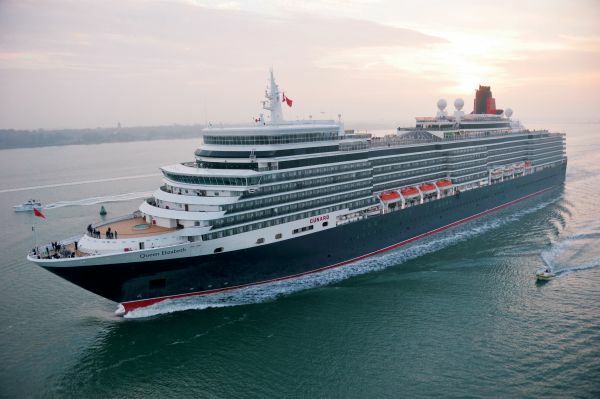 The Queen Elizabeth can accommodate 2,058 passengers and 1,000 crew members. For the past two months the majestic cruise ship has been sailing the Mediterranean on 7- and 14-day cruises. The ship was named by Queen Elizabeth of England herself in October 2010.